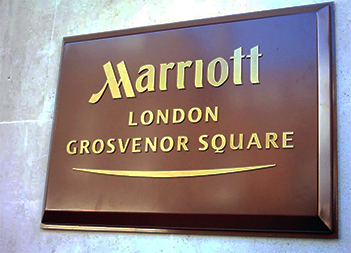 Fast delivery guaranteed ,we have the fastest lead times in the UK on most our London Hotel Signs. 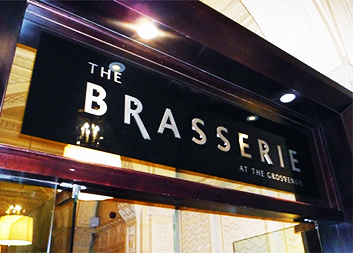 We design, manufacture and install all type of Metal Hotel Plaques, including Brass, Bronze, Stainless Steel and Aluminium. 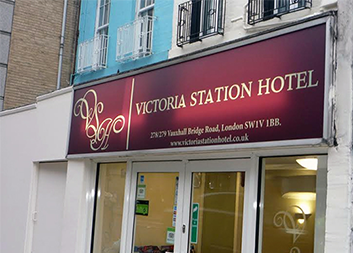 JFK Hotel Signs London can help you design your custom Hotel Front Fascia Signage and offer recommendations for colour, material and fixing methods. We will then create, manufacture and install it for you. 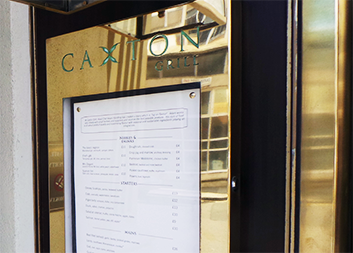 We are specialist suppliers of Hotel Window Manifestation Graphics, glazing enhancement and identification materials. 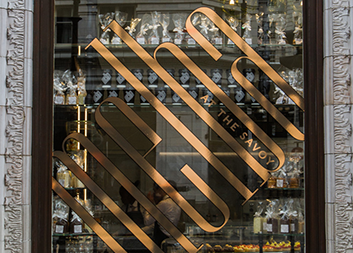 Our specialist window vinyl graphic products offer a low cost alternative to the traditional acid etching or sand blasting of glass. 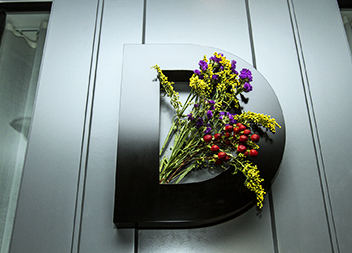 We offer aesthetically pleasing decorative Signs for doors, windows, glass, entrances and exits. 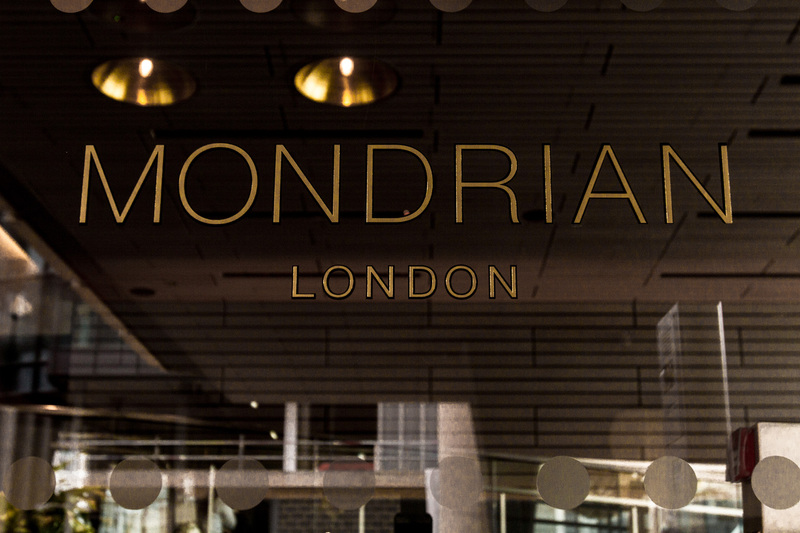 Hotel Signs London designs, manufactures and install Bespoke Neon Signs for Hotels in London and the UK. 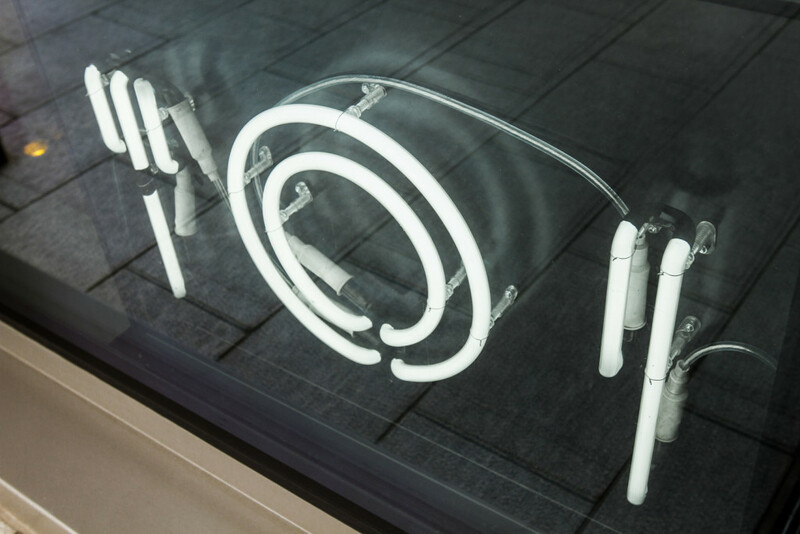 Let your Hotelstand out with our Bespoke neon signs. 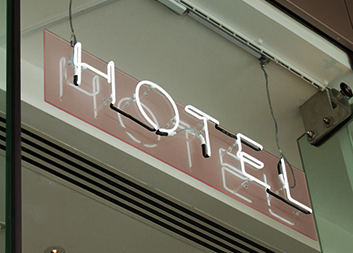 JFK Hotel Signs has been making Neons Signs for Hotels in London since 1979. 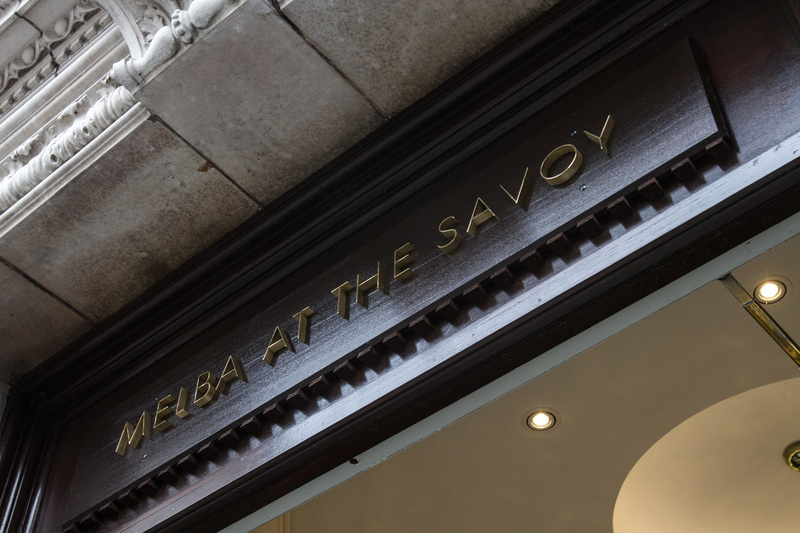 JFK Hotels Signs London fabricate menu cases in a variety of metals, ranging from Brass, Stainless Steel & powder coated aluminium to a RAL colour of your choice. We can also chemically etch or stencil cut your logo into the display unit.  LED or fluorescent lighting is also available to these units. 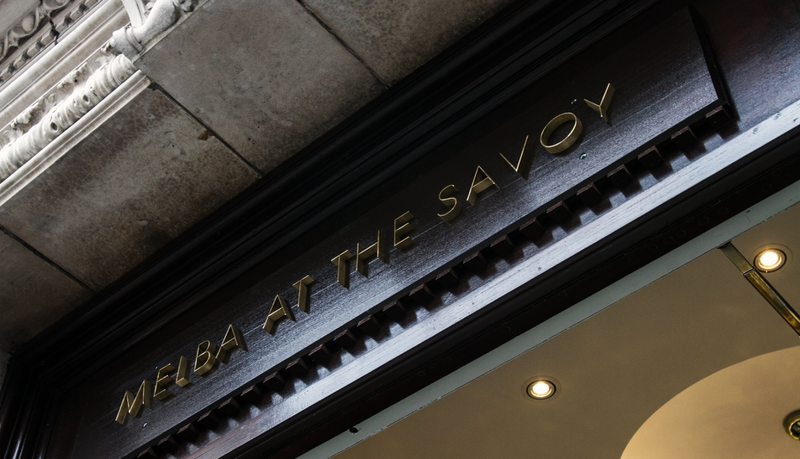 Our Menu Case Hotel Signs come in a stylish modern designs. They can be wall or window mounted. 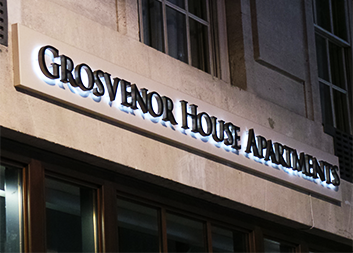 We deign, manufacture & install all type of Illuminated Hotel Signs. 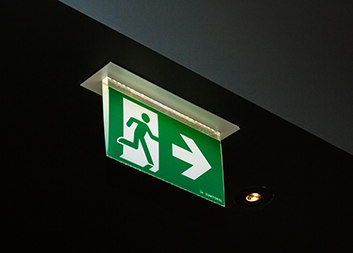 We offer Illuminated Light Box Signs, Edge Lit & Stencil Cut Tray Signs. 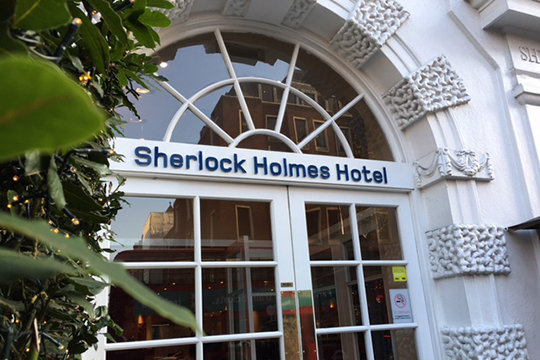 Hotel igns London offers a choice of framing systems: Slimtrim 3, Slimtrim 5 and Slimtrim Maxi in silver anodised, mill finish or powder coated to any B.S. or RAL colour of your choice. 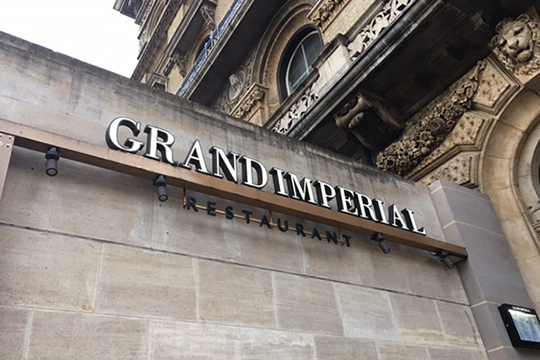 With JFK’s award winning range of letters, logos and LEDs – JFK Hotel Signs London will ensure your letters and logos are illuminated with a stunning effect. Using high powered LEDs there are a variety of ways in which we can manufacture the illuminated letters, which in turn effects the way each letter illuminates. 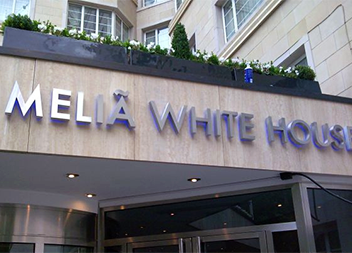 JFK Hotel Signs has been making Illuminated Letters Signs for Hotels in London since 1979. 3D Built up letters enable us to bring your logos or lettering to life, our 3D letters are precision cut for the ultimate finish. 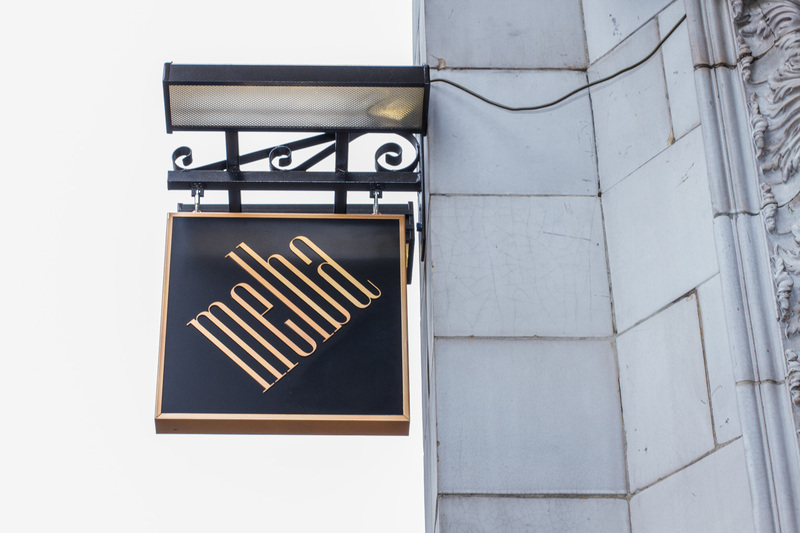 Our 3D Hotel Signs are all manufactured in house and are available in a wide range of materials like Brushed Stainless Steel, Polished Stainless Steel, Brass, Bronze Stainless steel, Gold Stainless Steel, Powder-coated Aluminium which can be matched to any RAL colour. 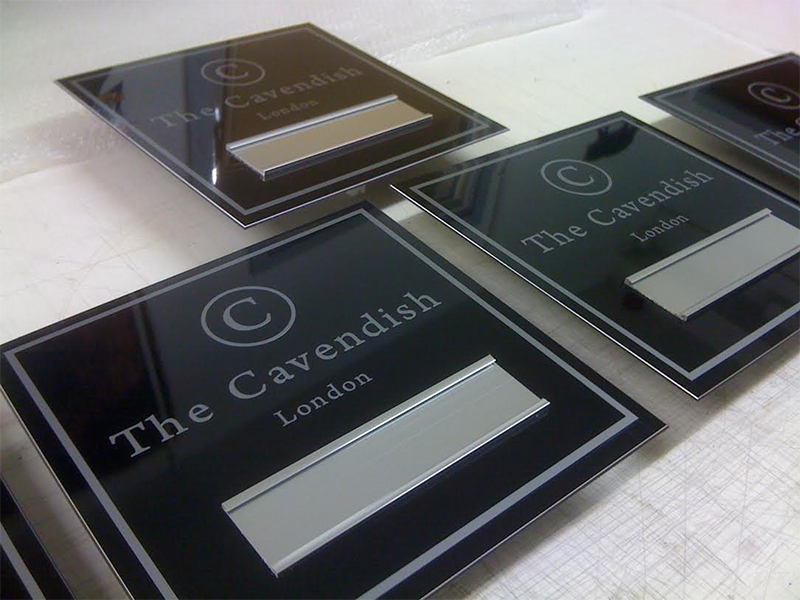 We deign, manufacture & install all type of Bespoke Floor Identification Signage for Hotels in London. 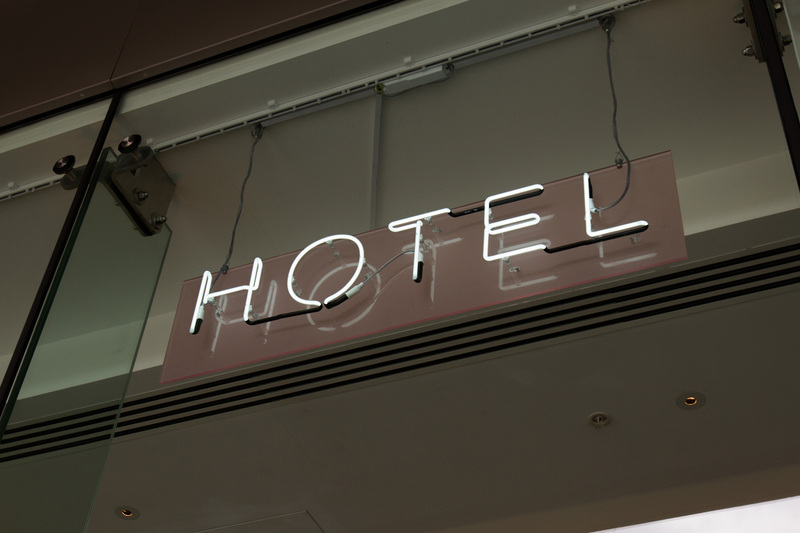 We offer various styles and materials to ensure your Hotels Signage stands out and follows your unique brand awareness. 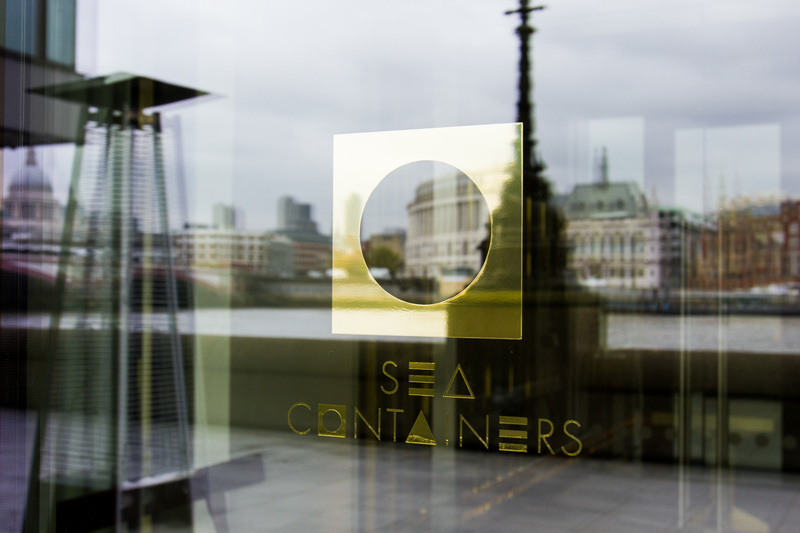 We use high quality materials like Brass, Stainless Steel, Bronze, Aluminium and Acrylic. 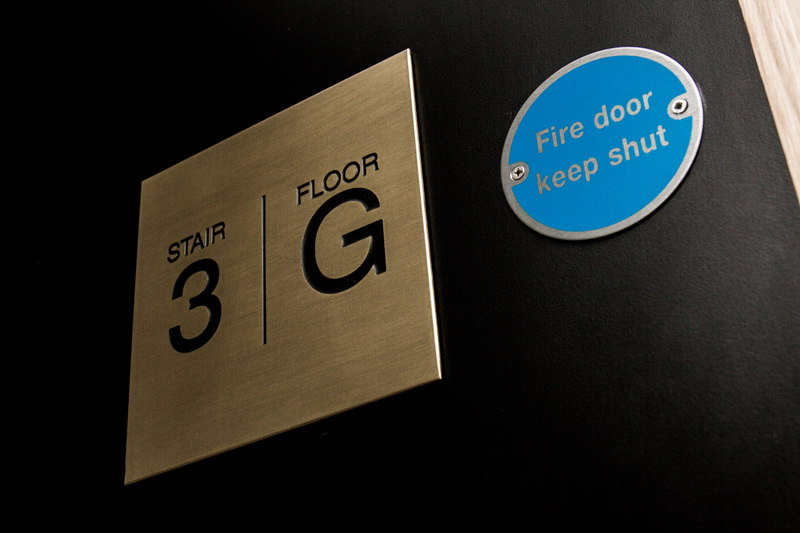 We offer various types of Bespoke Hotel Safety Signs from various materials like Aluminium, Brass, Stainless Steel, Bronze and Acrylic. 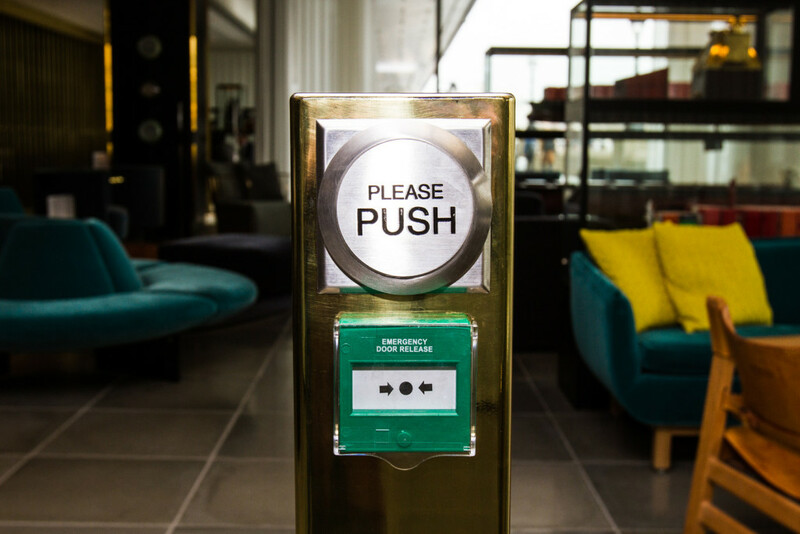 JFK Hotel Signs has been making Safety Signs for Hotels in London since 1979. JFK Hotel Signs London supplies all types of Restroom and WC signage for Hotels in London. 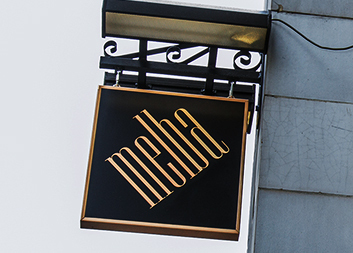 We custom make all types of signage with various materials like Acrylic, Aluminium, Brass, Stainless Steel, Bronze and wood. 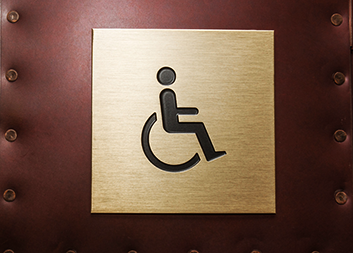 We also have a large selection of ready made WC & restroom signage for fast despatch. We can supply these within 2-3 days. "The plaques arrived safely and we love them. Thank you to everyone who helped to get them in the quickest time."